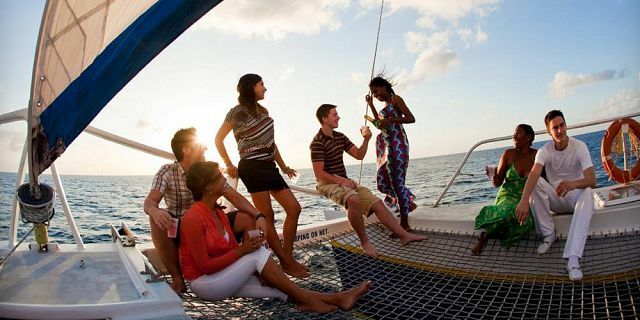 Exclusive Catamaran Cruise - Gabriel Island & Breakfast, Lunch.. 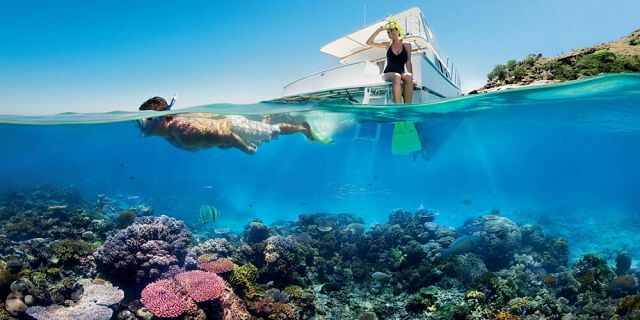 Enjoy a unique Exclusive and Private Catamaran Cruise to Gabriel Island with its breathtaking beaches, lagoons and coral reefs. Day full of sun, drinks, delicious food and a lot of fun and relaxation! 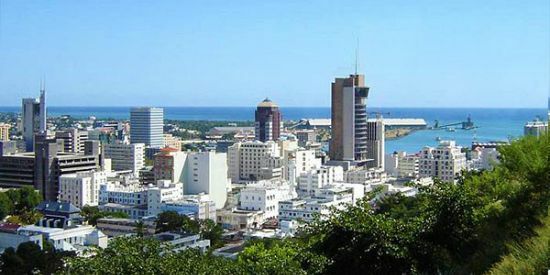 This trip includes breakfast, lunch, selection of drinks including alcoholic (beer, rum, cocktails…) and non-alcoholic beverages throughout the day. 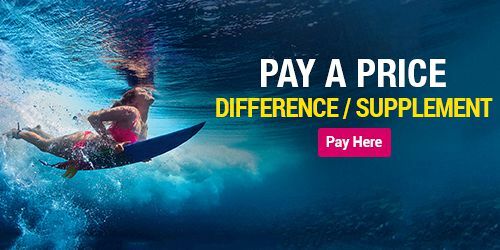 Treat yourself and your friends / family / partners to a memorable day, which will be one of the highlights of your holiday in Mauritius. 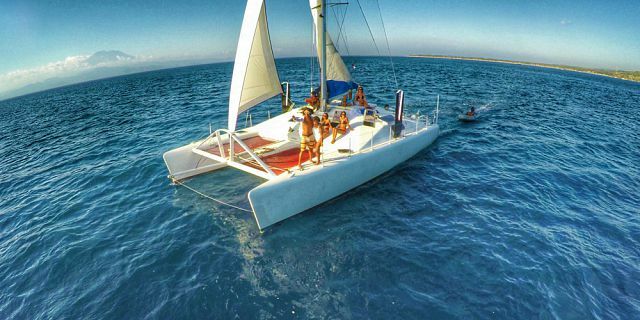 Enjoy an unforgettable excursion cruising experience on your own exclusive luxury 42 ft Catamaran. Enjoy sailing through the crystal clear water, breathtaking scenery all around, stay on the beautiful white sand beaches, snorkel inside the lagoons, explore the local marine line, and enjoy delicious food and bar services. 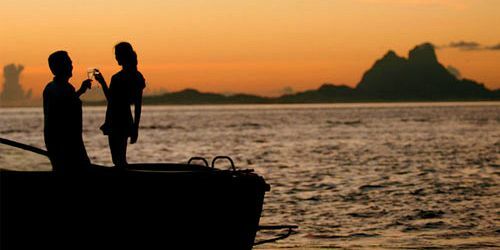 This cruise is all about making sure you and your guests have a full day of true relaxation and fun. 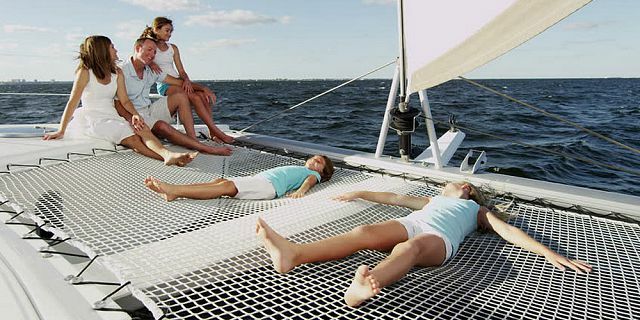 The catamaran cruise starts at 09:00, departing from Grand Bay. 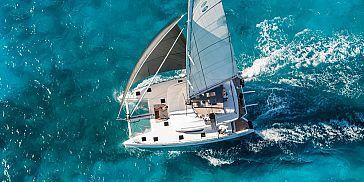 After a short sail you will be served breakfast with coffee, tea, juice, fresh croissant / chocolate bread (pain au chocolate). 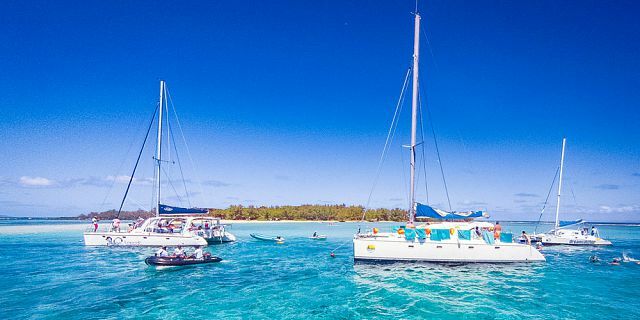 The crew members will make sure to make your time more enjoyable, and they will be happy to tell you about local tales, jokes, and to play local Mauritian music which will lift the spirits of all the people on board. 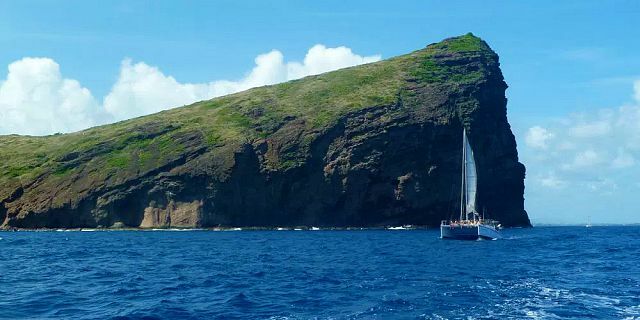 The sailing time is around 1.5 hours before reaching Gabriel Island. 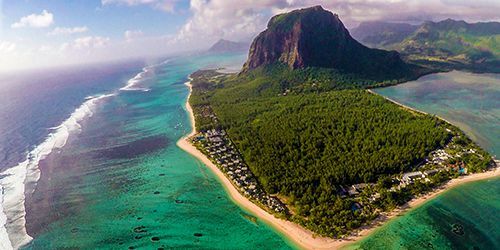 The island is most famous for if its beautiful unspoiled beaches, with crystal clear water surrounding the entire island. 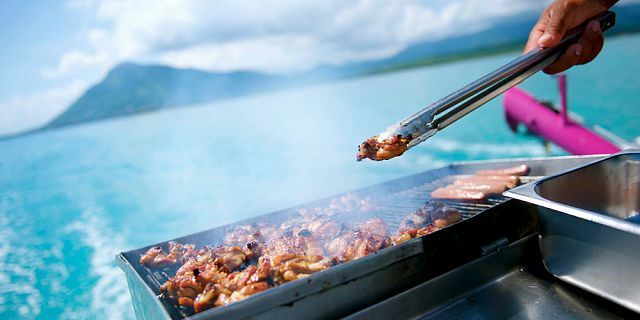 At around 12.30 you will enjoy full delicious BBQ lunch buffet set on the beach or on the catamaran. Please note that the menu includes only fresh fish, fresh chicken and a selection of fresh salads. If you are a vegetarian, please advice us before, so we can arrange the necessary additions to the lunch. 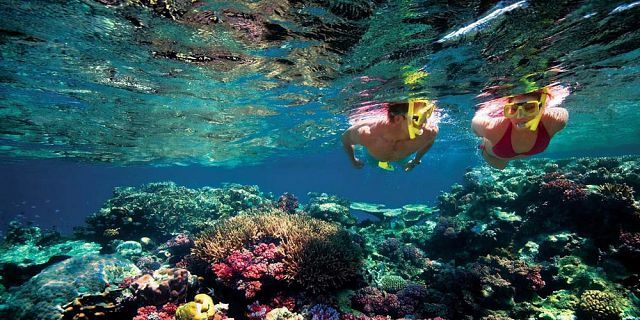 As part of the cruise you will pass by an amazing lagoon, where swimming and snorkeling are a must thing to do. Sometimes during this trip you will be able to see whales as well as dolphins. If this will happen, the crew will stop the boat, in order for you to observe these great animals from close in their natural environment. 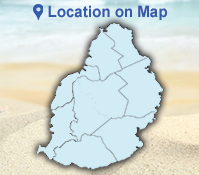 Of course you can choose to stay on the beautiful white sand beaches, enjoy a sun bath or a nice walk at the Island. This amazing paradise island is the perfect setting for a relaxing day of sun worship. 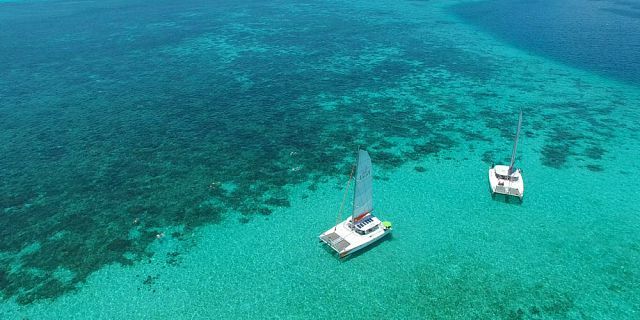 This is no doubt a great place to enjoy a day of relaxation and fun on one of the picture-postcard beaches or enjoy swimming and snorkeling in the sea. At around 15:00, you will leave Gabriel Island, heading back to Grand Bay. During the sail back you can enjoy light snacks, the bar services and the live music. Expected arrival time back to Grand Bay is 16:30. An added bonus for this trip is that you can enjoy a selection of drinks including alcoholic (beer, rum, cocktails…) and non-alcoholic beverages throughout the day. 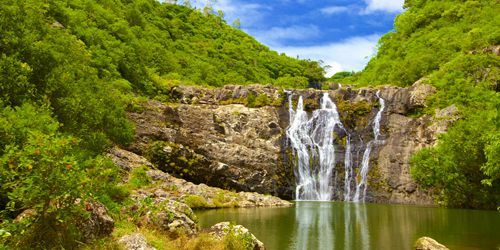 Gabriel Island: known also as Îlot Gabriel, is located near the Round Island and the Flat island, at the extreme north of Mauritius, about 10 kilometers north of Cap Malheureux. 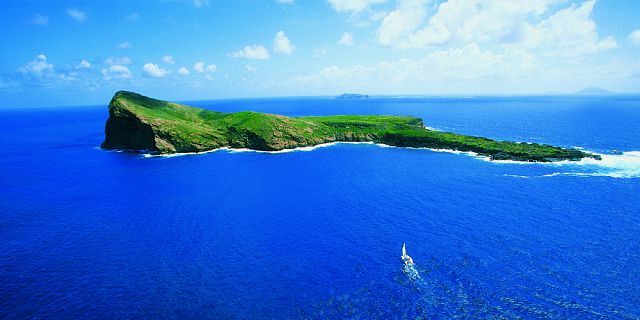 The distance between Gabriel Island and Flat island is only 750 meters. 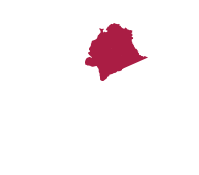 The size of the island is only 42 hectares, making it much smaller than Flat island, and the highest point is of 28 meters. 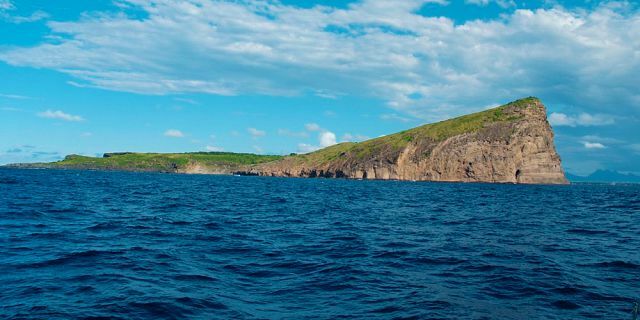 Gabriel island is a protected natural reserve. In comparison to Flat Island, Gabriel Island has much less Flora and vegetation. The island is most famous for if its beautiful unspoiled beaches, with crystal clear water surrounding the entire island. 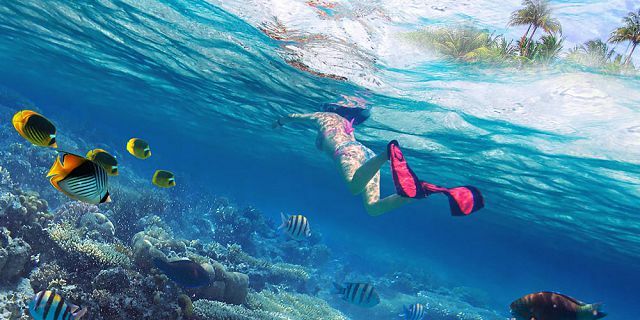 It is a very popular site for snorkelers, and also offers great dive sites. Breakfast: coffee, tea, juice, fresh croissant and chocolate bread (pain au chocolate). Drinks served during the day: Mineral water, soft drinks, juice, alcoholic and non-alcoholic punch, rum, local beer, white wine, rose wine. What to bring: We suggest bringing hats, t-shirts and extra sun block cream for sun protection, cameras, swimsuits. Level of services provided as part of the activity?